Theresa May and Andrea Leadsom are in the final round of the contest to succeed David Cameron as Conservative Party leader and prime minister. Here's a guide to how the contest will unfold. Key dates: Ballot papers will be sent out to the party membership mid August. Voting closes at noon on Friday 9 September. The voting system? Members vote for their preferred candidate. They can do so by postal ballot or online. Votes will be counted electronically. The size of the current Conservative Party membership is not clear - the number is thought to range between 130,000 and 150,000. The most recent study of Tory membership was carried out by Professor Tim Bale and his colleagues after the 2015 general election as part of the Party Members Project by the Economic and Social Research Council. The survey of 1,200 Conservative party members provides a useful insight into the people who will choose the next prime minister. It suggests more than half of party members are over the age of 60, they are overwhelmingly middle class and they are disproportionately based in London and the South East of England (55% of the membership). Just over a third have been to university - a lower number than is the case for Labour where about half are graduates. Fewer than 5% read the Sun, compared with 17% who buy the Daily Mail and 33% who take the Daily Telegraph. The majority are likely to agree with the view that young people today don't have enough respect for traditional British values, that schools should teach children to obey authority and that people who break the law should be given stiffer sentences. But many stereotypes about the famous "blue-rinse brigade" simply don't hold, according to Professor Bale. Britain's next female prime minister will be chosen by an electorate that is disproportionately male (70% of members). They are not "gung ho, slash-and-burn neo-liberals". This large number of retirees is concerned about protecting the NHS and pensions. But there is a tried and tested rule about leadership elections: Conservative Party members love winners. Thursday 30 June: Nominations to get on the ballot paper closed at midday, with candidates needing at least two MPs' support. Theresa May, Michael Gove, Stephen Crabb, Andrea Leadsom and Liam Fox are in the running. Tuesday 5 July: The first of two secret ballots of Conservative MPs is held as part of a process to whittle the field down to two. 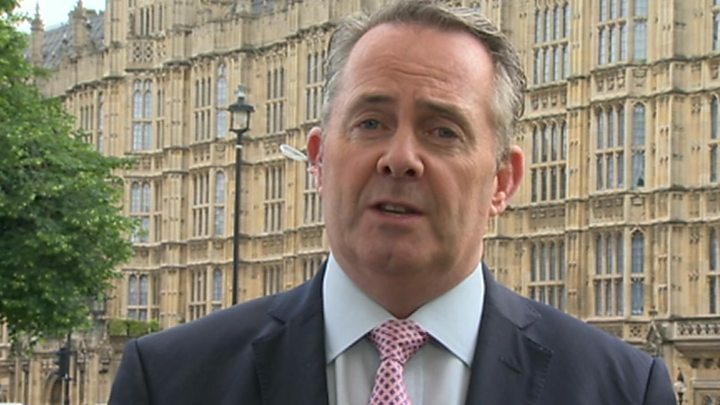 Liam Fox came last and was eliminated. Stephen Crabb came fourth and dropped out. Both gave their backing to Theresa May. Thursday 7 July: With just three candidates remaining - Theresa May, Andrea Leadsom and Michael Gove - MPs vote to decide which two should go forward to the final vote of party members. Michael Gove comes last and is eliminated. 9 September: Voting by the party membership closes at midday. The new Conservative leader and prime minister will be announced. One of the longest-serving home secretaries in history, Mrs May - who turns 60 later this year - has long been mentioned as a potential future leader of the party. She is now seen as the frontrunner, having won the support of 165 MPs in the first ballot - more than all the other candidates combined - and 199 in the second round. She said she had won support from MPs "across the party", including those on the Remain and Leave side. Mrs May is regarded as one of Whitehall's toughest and shrewdest operators and is being touted by her supporters as the candidate with the experience and know-how needed to deal with the fallout from the vote to leave the EU. She entered Parliament in 1997 and in the fallow years after the Conservatives' 1997 landslide defeat, achieved notoriety by famously saying the Conservatives were referred to by some as the "nasty party". The MP, who revealed in 2013 that she has type 1 diabetes, was praised for her unflappable handling of the often problematic Home Office brief although her wider political appeal has yet to be tested. While coming out for Remain during the EU referendum, Mrs May maintained a relatively low profile during the campaign, enhancing her potential appeal to MPs on the other side of the debate. Where she stands on Brexit: Backed Remain campaign but says vote to come out must be respected: "Brexit means Brexit... There must be no attempts to remain inside the EU, no attempts to rejoin it through the back door and no second referendum." Mrs May also said there should be no general election before 2020 and no "emergency" Brexit budget - and that she would abandon the target of eliminating Britain's Budget deficit by the end of the decade, a day before the chancellor himself abandoned it. Setting out her priorities for Brexit negotiations, she said "it must be a priority to allow British companies to trade with the single market in goods and services but also to regain more control of the numbers of people who are coming here from Europe". "Any attempt to wriggle out of that, especially from leadership candidates who campaigned to leave the EU by focusing on immigration, will be unacceptable to the public." Media captionLeadsom: "I have a lot of real world experience"
The 53-year-old former City banker was one of the stars of the Leave campaign, giving a composed performance as she took her place alongside Boris Johnson in its TV debating team. A former district councillor, she became MP for South Northamptonshire in 2010 and - after serving as a junior Treasury minister and as a member of the Treasury select committee - she was made a junior minister in the energy and climate change department in May last year. Announcing her decision to stand for the party leadership, she tweeted: "Let's make the most of the Brexit opportunities!" Following Boris Johnson's exit from the race, her stock has risen hugely with many of Mr Johnson's supporters transferring their support to her, enabling her to come second in the first round of voting with 66 votes. By the second round, she had picked up more support, securing second place with 84 votes, pushing Michael Gove out of the final contest. But question marks have been levelled about her level of experience in her previous City career and as a minister, her position on the EU - she said in 2013 that leaving the EU would be a disaster - and her family's tax affairs. She has said she would publish her tax returns if she made the final two. 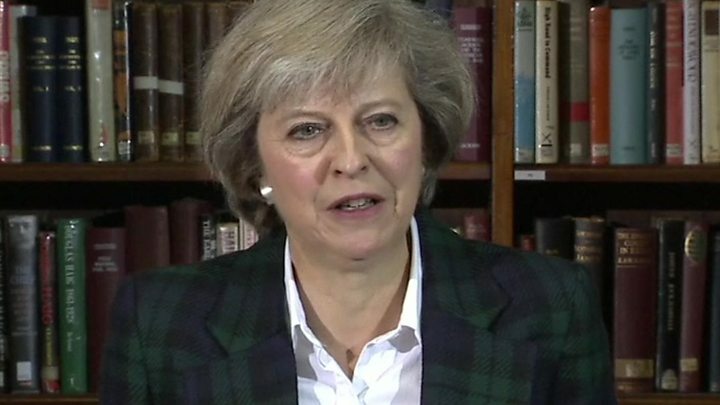 Where she stands on Brexit: She has described the referendum result as "a huge opportunity for our great country". She believes in scrapping free movement and wants to do free trade negotiations with the rest of the world. 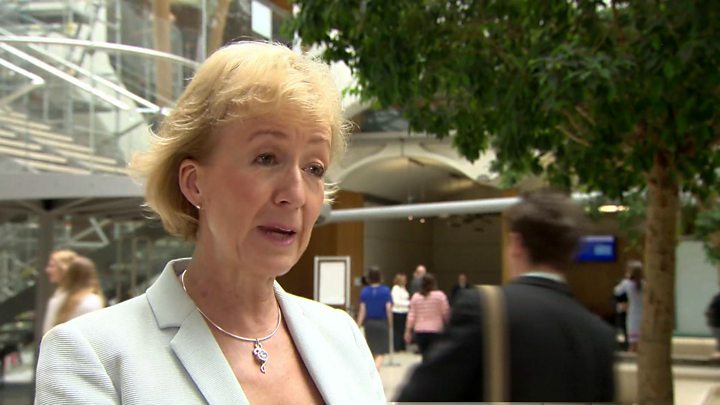 Mrs Leadsom told Sky News: "My personal view very genuinely is the next leader is someone who has to deliver on the promise of the referendum because they can see the huge advantages and they believe in them. I think it's very difficult for somebody who campaigned to stay in, who thinks that there will be disaster if we leave to suddenly turn it around and start believing we can make a go of it." Media captionMichael Gove on why he decided that: "I should stand and Boris should stand aside"
The 48-year-old justice secretary has gone out of his way in the past to put a limit on his personal ambitions, even going so far as to suggest that he was not equipped to do the job of prime minister. So it was a shock, verging on a political earthquake, when the former Times journalist and Leave campaigner abandoned his support for Boris Johnson and said he would stand for the leadership himself. Mr Gove has spoken of his "burning desire" to change the country but many of Mr Johnson's supporters did not take kindly to his spurning of their man and Mr Gove could only finish third in the first ballot of MPs, securing 48 votes, and was ejected in the second and final round. Mr Gove, who entered Parliament in 2005, has been a close personal friend of David Cameron and George Osborne and was a key figure in the party's modernisation but those relations are said to have been strained by his decision to campaign to leave the EU. He subsequently became a reforming, if controversial, education secretary and is regarded as one of the party's intellectual heavyweights. He ruled out a snap general election if he became PM - and he said he would abandon Chancellor George Osborne's target of eliminating Britain's budget deficit by 2020. Mr Osborne himself has since abandoned the target. Where he stands on Brexit: "The British people voted for change last Thursday... they want Britain to leave the European Union and end the supremacy of EU law. They told us to restore democratic control of immigration policy and to spend their money on national priorities such as health, education and science instead of giving it to Brussels. They rejected politics as usual and government as usual. They want and need a new approach to running this country." He said he would wait until at least until 2017 to kick off the two-year process of negotiating the UK's withdrawal by invoking Article 50 of the Lisbon Treaty. "I will only trigger it after extensive preliminary talks ... so I have no expectation that Article 50 would be triggered in this calendar year," he said. Media captionStephen Crabb: "The strengths that I bring ... equip me for what is an incredibly difficult job"
One of the rising stars of the Conservative Party, and the first Conservative cabinet minister for generations to sport a beard, the 43-year-old launched a leadership bid on a joint ticket with Business Secretary Sajid Javid. However, the work and pensions secretary pulled out of the race after coming fourth in the first ballot, amassing 34 votes. He then signalled he would be supporting home secretary believing she was the candidate most capable of uniting the party and the country. 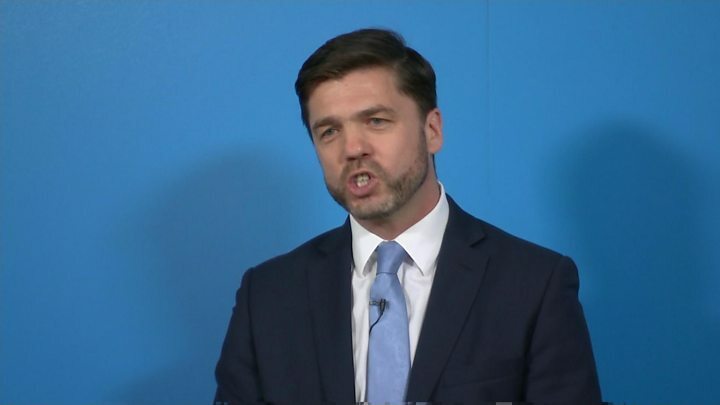 In his campaign, Mr Crabb who was born in Scotland, spoke of the need to bring the United Kingdom together following the referendum result, and said controlling immigration was "a red line" in Brexit negotiations. Raised by a single mother on a council estate, Mr Crabb - who became an MP in 2005 - has spoken openly about his family's dependence on benefits and the importance of work, education and his Christian faith in promoting self-reliance and economic independence. He was promoted to the cabinet in 2014 as Welsh secretary and later succeeded Iain Duncan Smith at work and pensions. While praising his qualities, many felt the opportunity came too early and his support for Britain to remain in the EU held him back. Where he stands on Brexit: Campaigned for Remain but now says: "The result was for the UK to leave the European Union. There can be no stepping back from that. It's a clear instruction to the government. There can be no attempt to dilute it, to sidestep it. And there will be no second referendum." Mr Crabb has set out three aims for the EU negotiations: "One: controlling immigration, and for us this is a red line. The one message that came through louder than any other in the vote last week is that the British people want to control immigration. Two: it is vital that we seek to achieve as close an economic relation with the EU as we have now. Three: the end of the supremacy of EU law." The former defence secretary, 54, threw his hat into the ring for a second time after coming a close third in the 2005 leadership contest. However, he was eliminated in the first round of voting after finishing bottom with 16 votes. He then said he would be transferring his support to home secretary Theresa May. He has been a forceful voice for the UK leaving the EU on the backbenches but also for Conservative unity after the referendum. Where he stands on Brexit: "I do not believe there is room for membership of the single market if it entails free movement of people. Those who voted to leave the EU would regard it as a betrayal and frankly they would be right. We do not need to be part of the single market to sell into it. Countries like the United States manage to do that very well. It is in our mutual interests to have a free and open trade relationship with our European partners but we cannot accept the concept of free movement of people as its cost." Who has ruled out a leadership bid? The former mayor of London was immediately installed as the bookies' favourite to be the next occupant of Downing Street when David Cameron announced he was standing down. But he shocked supporters and foes alike when he used an event at which he had been expected to announce his candidacy to say that he could not provide the leadership and unity required and would not be standing. His withdrawal came hours after the last-minute entry into the race of Michael Gove, who had previously backed the mayor of London and was masterminding his campaign. But Mr Gove said he had reluctantly come to the conclusion that the 52-year-old journalist-turned-Conservative politician, one of the most familiar faces in British politics, was not up to the job of being prime minister. Long thought to harbour ambitions to be prime minister, Mr Johnson has now said he is backing Andrea Leadsom. The chancellor has said he will not enter the contest to succeed David Cameron as Conservative leader, saying he does not believe he is the right person to unite the party. He has also yet to indicate who he will support. Many commentators believed Mr Cameron's right-hand man and political soulmate yearns to move the short distance to No 10 from 11 Downing Street - where the 45-year-old has spent the last six years as chancellor. Although he has a strong power base in Parliament - so-called "friends of George" occupy many of the seats around the Cabinet table - his stock among backbenchers on the right of the party has never been so low and his fortunes have been closely entwined with Mr Cameron's. His high-profile backing of the Remain cause, which culminated in his warning that there would have to be a tax-raising emergency Budget in the wake of a Brexit vote, meant he'd have had a long way to go to win back the Eurosceptic side of the party. The health secretary, who joined Parliament in 2005 and is politically close to David Cameron, said he was "seriously considering" running for the leadership of the Conservative Party - but on the day nominations closed he announced he would be backing Theresa May's candidacy instead. 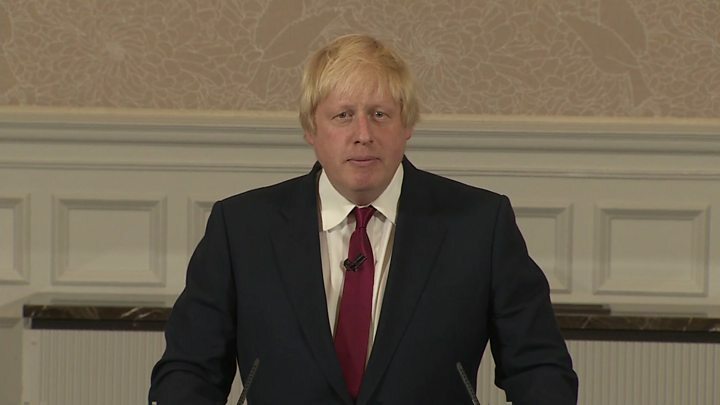 He said now was "not the right time" for him to stand, and added: "I have decided that now is not the right time for me to run for the leadership - though I remain completely committed to ensuring we secure our position as a great trading nation with sensible controls on migration. "I believe that Theresa May has the strength, judgement and values to deliver those things. She is the right choice to lead Britain in a challenging period and will make a truly outstanding prime minister." The 49-year-old has previously said he expected the health brief "to be my last big job in politics" but has since said: "I said it might be... things change in politics very, very rapidly. The education secretary said she was "actively considering" whether to throw her hat into the ring, saying it would "be good" to have a woman in the final two on the ballot paper - but she decided to throw her weight behind Michael Gove. She said the next leader "must have the skill and credibility to put together the right team to renegotiate our exit from and future relationship with Europe and explain the final terms to the British people," adding that "the right person to do that is Michael Gove." On the centre-left of the party, she was a strong supporter of the campaign to stay in the EU, saying the referendum result showed a "divided" country and said the Conservatives need to bring it back together. She has also urged the party to make the "positive case" for immigration. And she said the Conservatives need to make "a big bold offer" to younger voters, many of whom are "disillusioned" by Brexit, and called for votes for 16 and 17-year-olds. Mr Baron, who represents Basildon and Billericay in Essex, said he had been asked to consider running for Tory leader and was taking soundings but was not among the official candidates when nominations closed. The 57-year-old was instrumental in pushing the Conservative leadership into committing to the referendum, with a letter to the prime minister, signed by more than 100 MPs, followed by a rebel amendment to the 2013 Queen's Speech. After studying at Cambridge University he joined the Army and later worked in the City of London. Mr Baron is a former shadow health minister who resigned from the front bench in 2003 to vote against the Iraq War. He also voted against military intervention in Syria last year.